Earlier last week, I was in a very interesting mood and after my discovery of all my art supplies from a few years ago I decided to paint. Quickly, I enthusiastically rushed out to the store and bought a couple small canvases to practice on (I currently don’t have the equipment to make my own as I did in high school). Now, I haven’t painted on an actual canvas in a long time. I mean it’s been well over 4 years. When I got home I stared at the empty canvas with a blank look on my face. Suddenly, it intimidated me. The perfectionist in me reared its ugly head. I was afraid of creating something hideous. The fear had me enthralled for the next couple days. 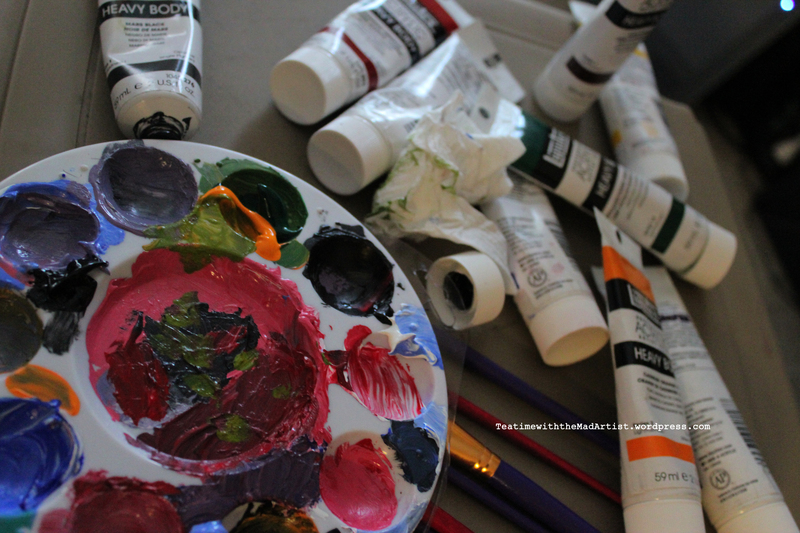 The empty canvas sat on my easel in the middle of my living room untouched. I would catch myself side-eyeing it at random moments after work or on my day off. Finally, after battling both the song of the art as well as the screeching of my insecurities, I picked up a pencil and began to draw. The more I drew on that blank slate, the less intimidated I became. Now, the canvas didn’t look so menacing. I could do this. When the sketch was done, I sat back with a smile on my face. One more fear conquered. I did my dance of joy, picked up my brush, and got to work. I had forgotten how much I enjoyed painting. 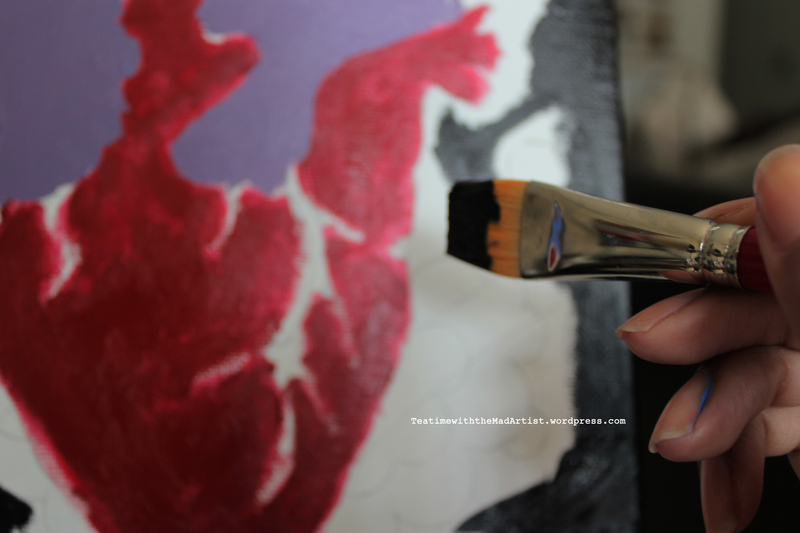 I had forgotten how therapeutic it is; the feeling of the paint laden brush sliding across the canvas is magical. 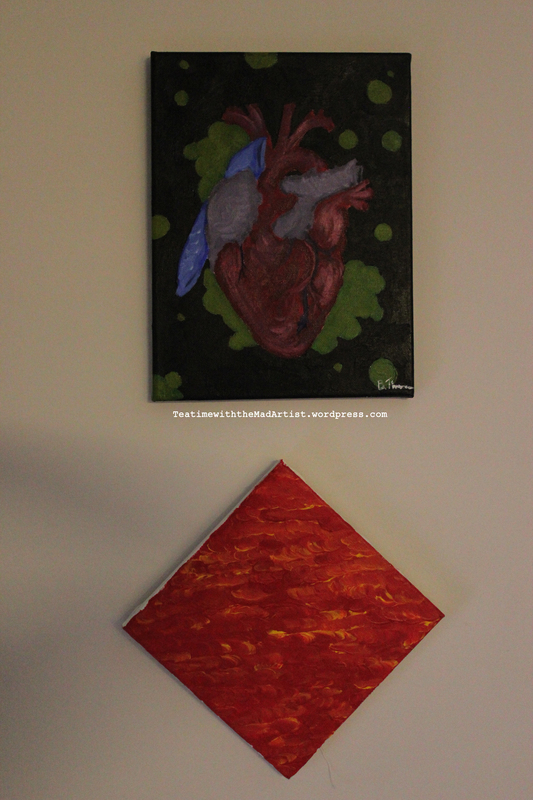 All of my worries, fears, and desires flowed from me onto the canvas. By the time I had finished the painting I felt the same way I do after yoga, minus the soreness. Being a person who feels emotions very deeply and spends a lot of time in her head, it has always been great to be able to release all of that into the various art forms I pursue. Even during the times when I wanted to be a doctor, I still found myself doodling in a notebook, or putting my emotions into poems. I couldn’t get away from my creative nature even if I wanted to and in the end I stopped trying to fight it. Communication through both visuals and written words is a part of who I am. This particular painting, although a bit morbid, is interesting. It only took me a few hours to create and I am a bit rusty, but it came out better than what I expected. It does have a story behind it, but I prefer not to share. I enjoy when other people share their interpretations. As I add more of my work, I will supply stories to some that are extremely meaningful to me. 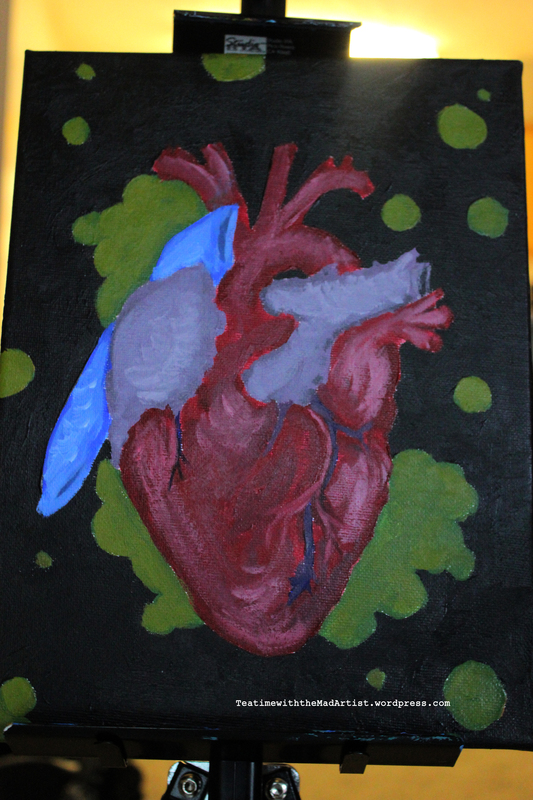 Hey loves, before you go let me know what you think of my painting and share any interpretations you have.